Finally it’s here! The fight that boxing fans worldwide have been waiting for. Fight of the decade and believed to be the fight of the century, Floyd ‘Money’ Mayweather versus Manny ‘The Pacman’ Pacquiao is only days away. However, one of the most anticipated fights in boxing history has not arrived without its fair share of heartache. Mayweather stares down Pacquiao at the MGM Grand Garden Arena in Las Vegas, Nevada yesterday. The fight was originally scheduled for March 13, 2010, but both camps couldn’t agree to terms after Mayweather requested for Pacquiao to undergo random Olympic-style drug testing, to which Pacquiao felt insulted and declined. The drawn out talks and the failure to make the Mayweather-Pacquiao fight was named The Ring magazine Event of The Year for 2010. 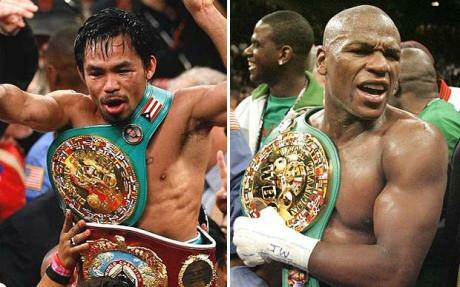 According to Yahoo sports!, an eight-page contract was sent on December 11 by Golden Boy Promotions, on behalf of Mayweather to Top Rank, representing Pacquiao, that proposed a 50-50 financial split between the sides for a fight to take place on March 13, 2010. The eight-page agreement was so detailed that it indicated which of the two fighters would step onto the scale first at the weigh-in (Pacquiao), who would walk to the ring first (Pacquiao), who would be introduced first (Mayweather) and who had first choice of the locker room (Mayweather). It detailed that the bout would have been on HBO Pay-Per-View at a cost of $59.95. 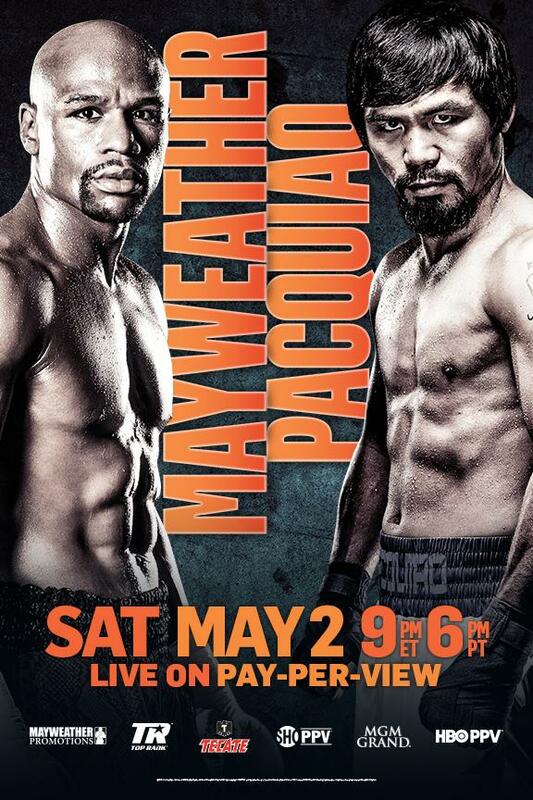 Billing was to be “Mayweather vs. Pacquiao, presented by Top Rank, Golden Boy Promotions, Mayweather Promotions and M-P Promotions. The contract also called for both fighters to submit to Olympic-style drug testing. On December 13, 2009, Pacquiao’s adviser, Michael Koncz, said Mayweather’s request for Olympic-style drug testing was a laughing matter and they had no concerns whatsoever about it. “Our reaction is, ‘So what?’ We know Manny doesn’t take any illegal drugs or anything. And none of this is getting under Manny’s skin or anything. I’m here with Manny, and to him, it’s like a joke. 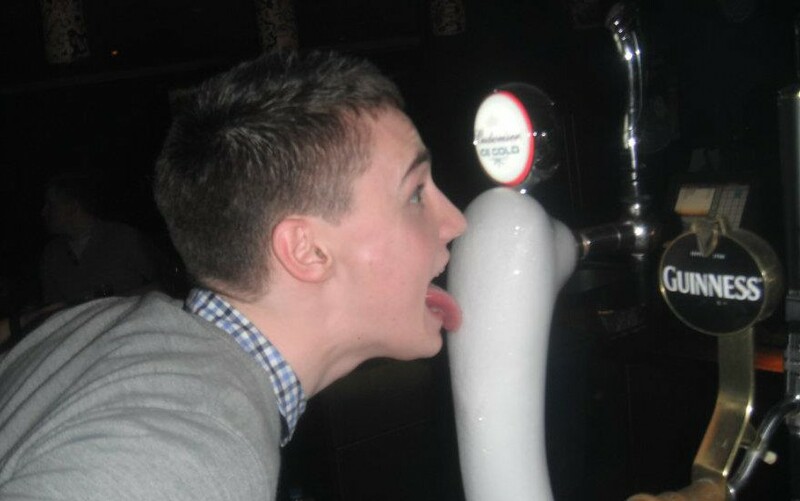 It’s a laughing matter,” said Koncz. After reports had surfaced that both parties had agreed to all terms, Golden Boy Promotions released a press release on December 22, 2009, revealing that Pacquiao was unwilling to comply with the Olympic-style drug testing requested by Team Mayweather. 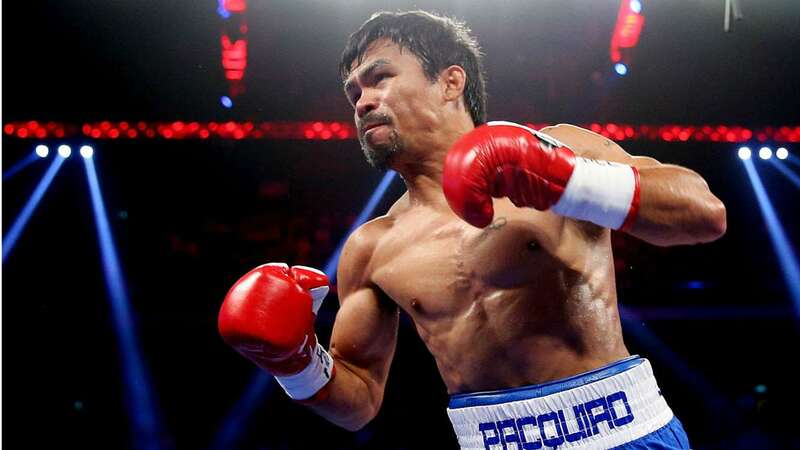 The following day, Bob Arum, Top Rank founder and CEO, declared the fight was off and Pacquiao would be facing a different opponent. Arum said that Floyd pressed for the blood testing and urine samples even in the run up to the weigh-in, and said that Pacquiao was freaked out with the blood testing and felt it made him weaker, stating that Mayweather knew this and was just harassing Pacquiao. Freddie Roach told that he would prefer for Pacquiao to give his final blood sample a week before the bout and no later than 72 hours before. Pacquiao filed suit in U.S. District Court in Nevada on December 30, 2009, against Floyd Mayweather Jr., Floyd Mayweather Sr., Roger Mayweather, Mayweather Promotions and Golden Boy Promotions executives Oscar De La Hoya and Richard Schaefer, alleging that they made false and defamatory statements accusing him of taking performance-enhancing drugs. Both sides agreed to enter into mediation on January 7, 2010, in hopes of coming to an agreement on the blood testing issue. Two days later, after hours of negotiating during mediation, Arum declared that the fight was officially off after Mayweather refused to agree to a 24-day cut-off date. Mayweather revealed that he offered a 14-day cut-off date to Team Pacquiao, but it was rejected. After the failed negotiations, both boxers moved on to other fights. 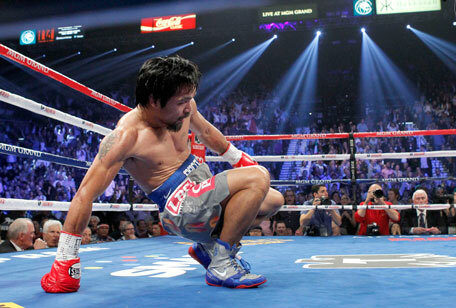 On March 13, 2010, Pacquiao defeated Joshua Clottey via unanimous decision, and on May 1, 2010, Mayweather beat Shane Mosley by a unanimous decision. 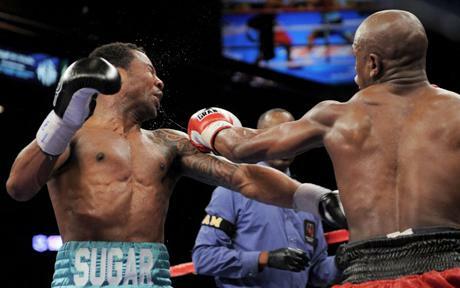 Mayweather defeats ‘Sugar’ Shane Mosley in a uninamous decision in Las Vegas. 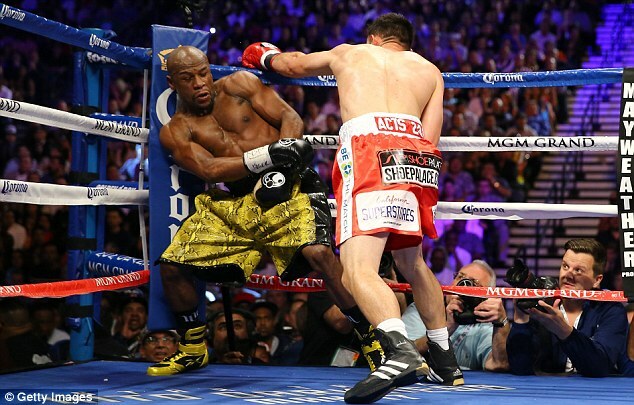 On December 12, 2014, Mayweather proposed a May 2, 2015 fight with Pacquiao, citing his indirect frustration at not being able to make the fight happen in the past by stating that Pacquiao had lost to both Marquez and Bradley, and that he (Pacquiao) was “not on his level”. He then went on to close his comments with, “Let’s make this fight happen for the people and for the fans. 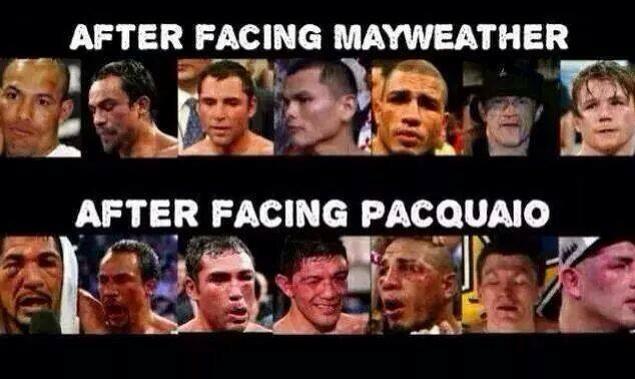 Mayweather versus Manny Pacquiao. May 2nd”. On January 27, 2015, Mayweather and Pacquiao finally met each other face to face for the first time during an NBA game between the Miami Heat and Milwaukee Bucks in Miami. Pacquiao said they exchanged phone numbers and would communicate with each other. Pacquiao’s advisor, Michael Koncz, said that the two future Hall of Famers later met at Pacquiao’s hotel for about an hour to discuss the pending superfight and work out the remaining issues. Top Rank promoter Bob Arum expressed optimism that the fight could be finalized by Super Bowl Sunday at the soonest and that there would be no further deadlines for the fight, stating that the negotiations are nearly complete. On February 20, 2015, Mayweather announced that the fight was official and had finally been signed to take place on May 2, 2015. 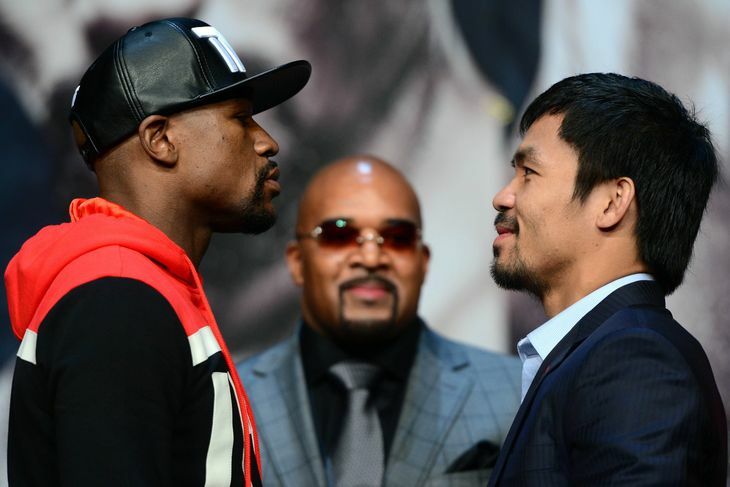 Mayweather and Pacquiao will face off at the MGM Grand in Las Vegas. The fight is expected to shatter PPV buy records and gross millions of dollars with the ticket prices ranging from $3,500 to $250,000. Boxing experts say this match could be the richest fight in boxing history and could generate $300 million. Initial expectations for the average ticket prices was between $3,000 and $4,000, although in late February average ticket prices were around $10,506.41, almost $50 more than the Super Bowl. Ticket prices at the MGM Grand Garden Arena are expected to smash the current live-gate record of $20 million, held by the Mayweather-Canelo Alvarez fight in 2013. Many will argue that this fight has come five years too late, when Pacquiao was at the peak of his popularity and powers and Mayweather had returned from a 21-month layoff. But they still remain the no.1 and no.2 fighters in the world and with 5 years of waiting, we are all thrilled that they will finally meet in the ring to answer our question ‘Who is the best?’. This entry was posted in Uncategorized and tagged las vegas, mayweather, MGM Grand, nevada, pacquiao, welterweight. Bookmark the permalink.